Calling all meat lovers! How would you like to have some of the best meats in the world delivered straight to your door? You might have thought such a thing wasn’t possible, but it actually is thanks to the Carnivore Club. Carnivore Club is deemed the “ultimate meat club for discerning individuals.” It’s essentially a meat of the month club that delivers a curated selection of cured meat directly to your home for you to enjoy. There’s no need to hunt for the best cured meats out there because Carnivore Club has found them and is bringing everything straight to your door. Here’s how it works… Each month, you’ll receive a box that’s filled with four to six handcrafted, cured meats from top artisans around the world. The artisans who select and cut your meat are committed to using only the highest quality meats and best ingredients, so you know each box is going to be delicious. 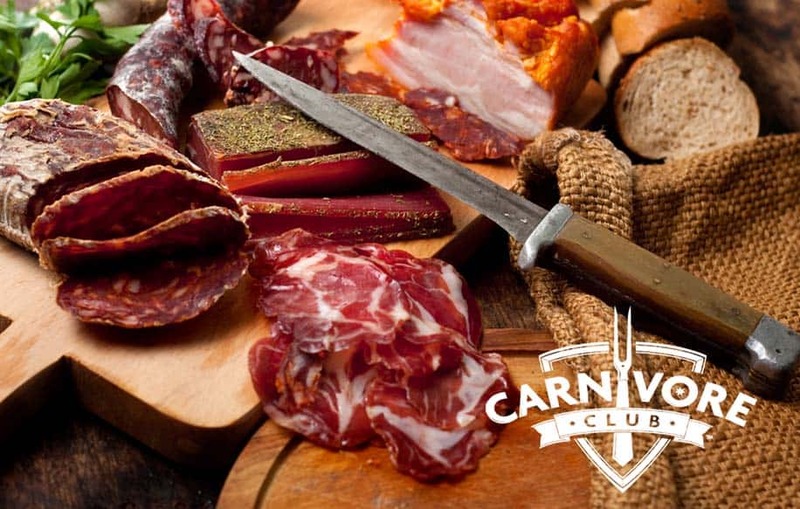 What I really like about Carnivore Club is that they allow their customers to step outside their comfort zone when it comes to food because they provide a wide array of cured meats. Many of these meats really aren’t easy to find at your local grocery store. Keep reading to learn more about Carnivore Club and find out how you can sign up. If you’re interested in joining Carnivore Club, signing up is actually pretty simple. All you have to do is head to their home page and click the “Join Now” button. You’ll then be taken to a page that shows you the two membership options they provide to their customers. You can choose the Subscription Membership, which allows you to receive regular deliveries. With this option, you can choose the delivery frequency that works best for you. You can select a monthly delivery, bi-monthly, or quarterly. This membership actually saves you a little bit of cash, as it only costs $50 per month. By choosing a subscription, you are committing to a three month minimum. If you’d like to try out Carnivore Club before committing to it, you can absolutely do that as well. They have a One Month Subscription you can select, which delivers you just one box to try out. There’s no commitment when choosing this option and all you have to do is pay a one-time fee of $55 for that month. For those who are interested in purchasing a gift for someone else, they even have a four-month gift subscription. This one is billed at $55 per month for those four months. While some food subscription services allow you to select the dishes or snacks you’ll be receiving, that’s not the case here. Each month’s boxed is themed and comes with a carefully selected array of cured meats. You won’t have a choice in what you receive, but that’s all part of the fun. It’ll be a surprise what you get each month and it’ll allow you to try something new. It’s important to note that you will be billed immediately upon signing up for Carnivore Club. For all subsequent boxes, you’ll be billed on the first of the month. You also shouldn’t expect to receive a box right away because of the order processing cycle they have in place. Because they only send boxes once a month, you won’t receive your order until their next shipping date. Carnivore Club is committed to providing their customers with only the highest quality when it comes to their selection of cured meats. These meats are picked from some top artisans all over the world, ensuring you only receive the best. As mentioned above, each month’s box has a theme. It’ll be themed around a producer that’s specialized in a particular style of cured meats. 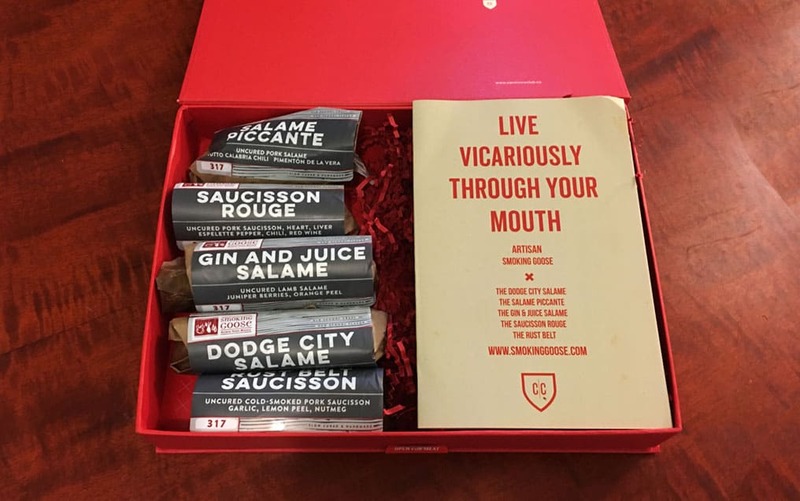 For example, some of their past themes have been: French Charcuterie, Italian Salami, Spanish Chorizo, South African Biltong, and Artisanal Jerky. Those are just a few examples of what you can expect to find inside your Carnivore Club box! One of their previous boxes was an Artisan Meats & Cheeses selection. Inside this box, they included classic pepperone, saucisson sec, chorizo, salametti, and orange peel wild fennel. They’ve also offered a Field Trip Jerky box that contained honey spice beef jerky, original beef jerky, cracked pepper buffalo jerky, cracked pepper turkey jerky, and crushed chilis turkey jerky. For those that love a smoky taste, they’ve had a themed box just for you. Their Miami Smokers box included: a classic bacon, candied bacon, and a toasted-crispie treat. The toasted-crispie treat put a twist on the childhood classic with smoky and salty bacon mixed right in. Because their boxes and their suppliers change each month, it’s always a surprise what you’re going to receive. This does cause a bit of an issue for those who suffer from food allergies though. While Carnivore Club does their best to select meats everyone can enjoy, a monthly product change means ingredients can change. Some meats may contain ingredients that were not in previous boxes, however you can always contact the company for updated allergen information. One of the great things about Carnivore Club is that they deliver to multiple countries around the world. They currently ship to the United States, Canada, the United Kingdom, and Australia. For those in the United States, you don’t have to worry about not being covered by their delivery area because they ship to all 50 states. They even shipped to Armed Forces locations. All of their orders are processed and shipped on the first week of the month after you placed your order. They use USPS to ship all of their packaged expedited. It should take approximately two to four business days to complete your delivery. Carnivore Club will send you a confirmation email when your shipping label has been printed, so you’ll have tracking details. This ensures you always know where your delivery is and when it’ll arrive. Also, there’s no need to be home waiting for your package’s arrival. Your mail carrier will drop it off, as no signature is required. You can change the delivery month of your box at any time through your online account. Remember, you can select monthly delivery, bi-monthly or even quarterly if you’d like fewer boxes. One of the things that stands out about Carnivore Club isn’t just the meats they deliver to their customers. The package they come in is truly impressive. Instead of just receiving everything piled into a plain cardboard box, it’s packaged neatly inside a faux-wood box. It’s a nice touch that shows they take great care in their offerings. Plus, it’s going to look much nicer on your kitchen counter! Everything is sealed and is safe to remain at room temperature. This means it’s not necessary to keep the meats cold during transportation. You won’t find any dry ice or ice packs inside your box, which makes for simpler disposal on your end. All of the artisans who contributed meats to the monthly boxes are carefully selected by the team at Carnivore Club. They are committed to only using artisans that purchase ethically treated animals and that employ humane slaughtering practices. All ingredients are also locally sourced, so they always know where meats and everything else is coming from. There’s also no need to worry about your meats spoiling before arrival. These meats are cured and sealed, which means they can be stored at room temperature (60 degrees) for at least one month. If you want to increase the shelf life of your cured meats and maintain their quality, you can store them in your fridge to encourage freshness. While some food subscriptions services provide you with meals you need to prepare yourself or heat up, that’s not the case here. These cured meats are ready for you to take out of the package and enjoy whenever you’d like. You don’t have to cook or prepare anything before chowing down, which is always a plus. While many of these meats are great to enjoy on their own, they’re perfect for adding to other dishes. 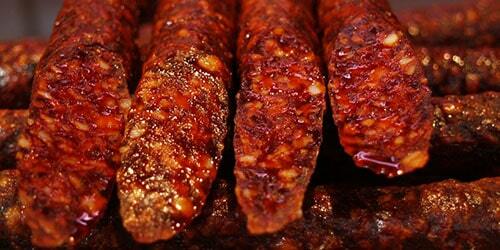 You could add a tasty chorizo to your paella dish. Pepperoni is great for topping a slice of pizza or adding to a calzone. You could even use a jamon iberico to pair with cheese or even a warm bowl of pasta. The ideas are truly endless and it gives you a variety of ways to enjoy these cured meats. When you consider the high-quality of meats you’re getting in each Carnivore Club box, there’s no denying everything is going to taste amazing. Using the best meats that have been curated from a variety of trusted artisans around the world ensures you’re getting authentic meat that’s some of the best out there. In their Aux Delices De Bois box, there was an amazing selection of meats. Everything was hand-selected and humanely raised. No artificial nitrates or hormones were added to the meats, which means you don’t have to feel guilty about enjoying them. You can safely consume these meats without worrying about any dangerous ingredients that could be inside. The uncured chorizo in this box was perfect with the Spanish smoked paprika seasoning. Carnivore Club suggested using this in a paella or even as a pizza topping, which is a fantastic idea for how to use some of their meats. Their toscano was an amazing Italian salami and the chunks of garlic made it absolutely delicious. It makes a great addition to any sandwich or even a tomato sauce. Although there are quite a few speciality meats inside these boxes, that doesn’t mean you won’t find something classic. A simple uncured pepperoni is one thing no one could pass up. It was made with 100% pure pork that didn’t include any artificial nitrates. It also contained cayenne and anise, which really amplified its flavor. You might not want any other pepperoni after tasting it! As mentioned previously, you have two options when joining Carnivore Club. With a recurring subscription, you’ll be able to save a little cash with each box costing $50 per month. When you choose this option, you are committed to a minimum membership of three months. After that period has passed, you’re able to cancel your subscription at any time. If you choose to purchase just one box without the commitment of a monthly membership, your fee will be $55. Alternatively, you can order a four-month subscription for someone as a gift, which will be billed at $55 per box for four months. Once you’ve signed up, you will be billed immediately for your purchase. After that, you’ll be billed for all subsequent boxes on the first of every month if you purchased a recurring subscription. If at any time you’d like to cut back on the amount of boxes you’re receiving, you have the ability to do so. You can change the delivery frequency and choose between monthly, bi-monthly, or quarterly. This gives you the freedom to choose just how often you want to receive your Carnivore Club box. 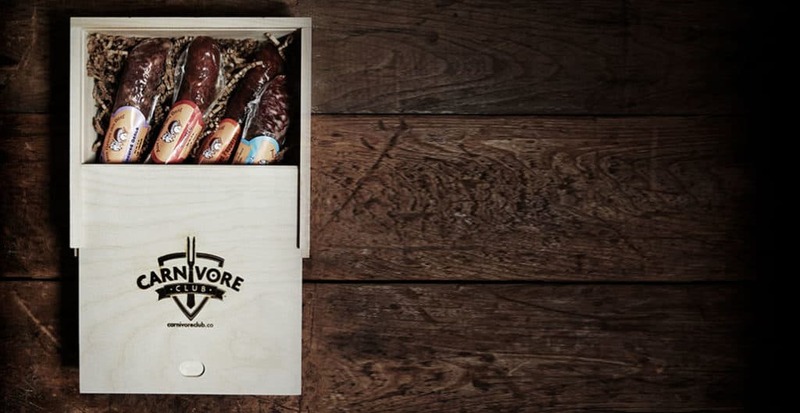 The Carnivore Club box truly is the perfect option for anyone who loves meat. If you enjoy trying new cured meats, this subscription will allow you to try high quality meats from around the world. You won’t be able to easily get your hands on this kind of meat otherwise, making it great for the carnivore in your life. Not only will you be able to try all kinds of new meats, but you’ll be able to try new things and step outside your comfort zone. It truly is a great gift for the ultimate carnivore, so give the gift of meat to a friend or family member. You could even gift it to yourself! Carnivore Club sends very high-quality cured meats on a regular basis. This makes it a fun and interesting "club" for those interested in trying new meats. My dad loves smoking meat and making jerky. I have a feeling he’s going to love this for his 60th birthday!